Gold; the gift presented to kings, denoting Jesus’ royalty. Myrrh; probably the strangest of all, it was used for embalming dead bodies, signifying the reason Jesus came- He came to die. “When it was time to leave, they returned to their own country by another route, for God had warned them in a dream not to return to Herod. By the time of his death, Herod also had killed many Pharisees, his mother-in-law, brother-in-law, his wife Miriam and three of his sons whom he suspected in plots against his throne; he considered himself Jewish and kept kosher dietary laws, leading Caesar Augustus to remark “Its safer to be Herod’s pig than to be his son”. Herod was already seriously ill by this time, so Joseph and Mary’s time in Egypt was not long, maybe only a couple months. 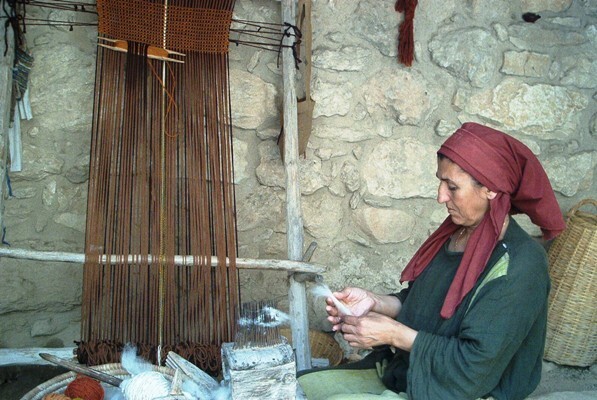 They returned to Mary’s home town, Nazareth, where Jesus would grow up in obscurity living the common life of a peasant in 1st century Roman-occupied land of Israel. Last we left Mary and Joseph, they had left the Temple in Jerusalem to go back to Nazareth in Galilee. However, something brought them back to Bethlehem again between the 40 days of purification and 4 A.D. when Herod the Great dies. This is not unusual, as Matthew already records that Mary and Joseph traveled to Jerusalem every year for Passover, and the law required all males to appear yearly at the temple for two other feasts, the feast of Penticost (first fruits) and the feast of Tabernacles . 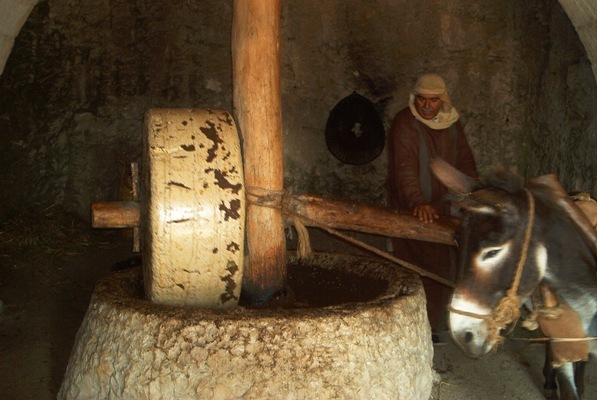 Plus, Joseph was in construction, and speaking from personal experience, in construction you’re always working yourself out of a job and on the lookout for work; perhaps while in Bethlehem for registration a family member offered Joseph some work. And even if they were there for a feast in Jerusalem, it’s perfectly conceivable that they’d stay with relatives in Bethlehem(who might still be embarrassed that they ended up in the barn their last visit and wanted to make it up to them, as Joseph’s new wife is simply adorable). Meanwhile over in Jerusalem, pandemonium is about to break loose. Some men are waiting for Herod in his court; distinguished visitors from the East. The Bible calls them “Magi” (possibly Royal Astronomers/Astrologers), and somehow they were expecting the Messiah and knew He had been born. How this happened we’re not entirely sure, but we do know that when the Jews returned from exile in Babylon (which was part of the Persian Empire by then) not all of them left; indeed, Nehemiah was a high official in the court of Artaxerxes and was required to return there after assisting the rebuilding of Jerusalem. Thus the knowledge of Hebrew Scriptures including the messianic prophecies of Isaiah, Jeremiah, and Daniel would have been known there. Later on we’ll see that God appears in a dream to the Magi to warn them, and so it could also be he appeared in a dream previously to tell them to follow a star. And so it is, these men (we don’t know how many) are standing in Herod’s court, asking him “Where is He who is born King of the Jews? For we have seen His star in the east, and have come to worship Him”. Now this was the absolute last thing Herod wanted to hear in so many ways. HE was the King of the Jews, and could only dream of having his own star and distinguished men wanting to worship him (most of his own subjects wanted him dead). 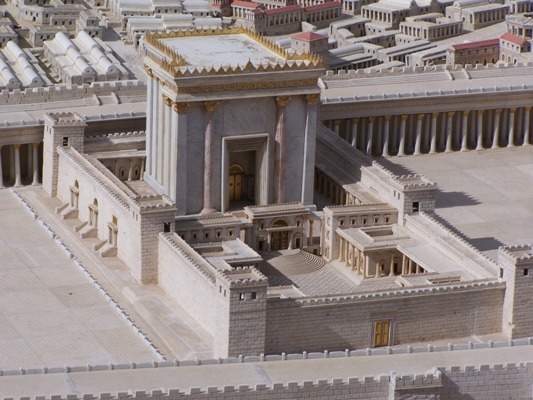 The Bible says King Herod was deeply disturbed, and all Jerusalem with him. There’s a good reason for this; if Herod aint happy, aint nobody happy, as heads usually roll when Herod ain’t happy. The shepherd’s report may have suddenly come to mind also, ringing alarm bells. But this shrewd, paranoid king kept his cool long enough to call a meeting of the chief priests and scribes, and nonchalantly ask them “so, where is the messiah to be born?” Without missing a beat, they replied “In Bethlehem of Judea, for this is what the prophet wrote; “And you, O Bethlehem in the land of Judah, are not least among the ruling cities of Judah, for a ruler will come for you who will be the shepherd for my people Israel’” (Micah 5:2). Now how the Chief Priests could stand there and not even investigate what was only five miles from them in Bethlehem I could only speculate. Maybe they were afraid of what Herod would think or maybe they didn’t believe it. But the Magi believed it, as they traveled hundreds of miles to see Him. And Herod certainly believed it, as we’ll see shortly. He meets secretly the Magi and sends them off to Bethlehem, with the instructions to search for the child, and when they find him, to come back and tell him, “so he can come worship him too”. How he kept a straight face while saying that last line, I’ll never know. “Eight days later, when the baby was circumcised, he was named Jesus, the name given him by the angel even before he was conceived. About 5 miles south of Jerusalem is the town of Bethlehem where King David was born and raised, and thus also known as the City of David (not to be confused with the area of Jerusalem immediately south of the Temple Mount which became his capitol, also known as the City of David). The name means “House of Bread”, possibly because of all the wheat grown in the region. Archeologists estimate the population at the time of Jesus to be about 5,000, not exactly a town set up to receive a lot of visitors. 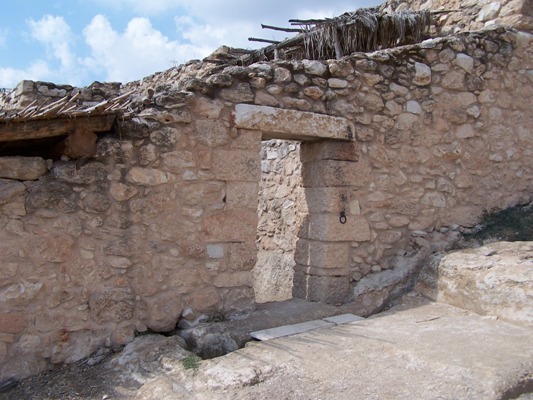 This was Joseph’s ancestral home and upon arrival he and Mary probably sought refuge with extended family members. However because of the registration decreed by Augustus and the requirement by Herod that decedents of David had to report to Bethlehem, it was probably packed and the usual guest rooms were filled. Despite tradition nowhere in the Bible does it say that Jesus was born in a stable (although it very well could have been), only that he was placed in a manger, a stone feeding trough conveniently just about the right size and height for a crib. The King James Bible says that this was because there was no room at the “inn”, but the Greek word used in this case for “inn” is “kataluma”, literally “loosing down place”, which is quite open to interpretation. This presents several options; it could have been a guest room upstairs at a private residence, or a corner of the house set aside for guests. What it is not is the “inn” referred to that the Good Samaritan deposited the wounded Jewish man at and paid the innkeeper to take care of him; the Greek word for this type of inn was pandoxeion. Some suggest that given what we know about the betrothal process, many relatives would be present that would know that the wedding feast had not taken place yet between Mary and Joseph, and yet here she is full-term pregnant. The scandal of adultery and the defilement it entails may have caused them to shut their doors and refuse their kataluma to them, until some kind-hearted soul took pity on them and at least let them use the stable, which may indeed been the downstairs of the house, not some outlying cave. Or it may be that even if they were warmly received, Mary and Joseph didn’t feel like displacing the 2 or 3 families that were already stuffed into the kataluma, and at their own admonition moved out to the stable, where there would be at least a semblance of peace and quiet. But then again, it may have indeed been a cave, as the hills around Bethlehem are still dotted with them. I’ve spent nights in a unheated stone house before, and can assure you it’s not much better than a cave. Nazarethwas the home town of Mary and Joseph, and the boyhood home of Jesus. Today it is the largest city in Galilee and nicknamed the Arab Capitol of Israel, due to its population of 72,000 mostly Arabs in the city proper and thousands more in the outlying region. But back in Jesus’ day most archeological evidence shows it to have been a tiny hamlet, never having more than 500 people. There’s not much information available about it before Jesus’ day; in fact, other than being Jesus’ boyhood town it is remarkable for being quite unremarkable. It rests in a bowl of terraced hillsides that supported olive trees, almonds, vineyards, barley, and sheep. It’s about 20 miles from Tiberias and the Sea of Galilee, but not really on the way to anywhere. Basically it was a Podunk town in the middle of nowhere. 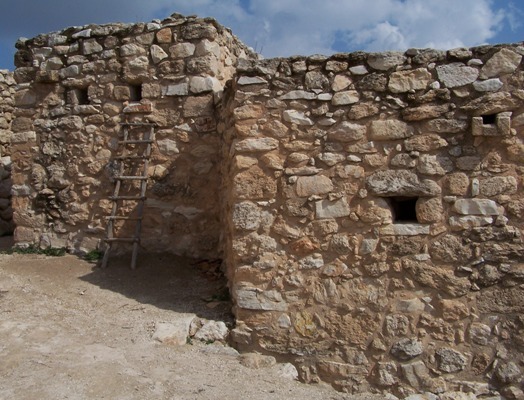 When one of Jesus’ future disciples heard that Jesus was fromNazareth, he snidely remarked “Can anything good come from Nazareth?” Yes this is where Jesus spent a quiet childhood learning the trade of carpentry from His stepfather Joseph and being obedient to him and Mary. It was here His four half-brothers and several half-sisters were born and raised with him also. Jesus was well-liked in the community, but no one ever expected Him to cure lepers or pull lame men to their feet, as we shall see later. For that matter the upper region of Israel called Galilee was not a very prestigious place either. It supported mostly agriculture and fishing at the Sea of Galilee (today called Kinneret). You would think that God would choose Jerusalem with its center of Jewish culture and great Yeshivas (Jewish schools) or maybe Caesarea, the beautiful Roman capitol on the sea coast with its stately palaces, administrative centers, and huge amphitheater. No, Jesus and His disciples were from Galilee, an area looked down upon by the afore mentioned cities as being country bumpkins, hicks, and hayseeds. An equivalent comparison today would be the way a New Yorker would look at a pig farmer from Mississippi with a southern twang in his voice, coveralls, and a straw hat. Joseph and Mary were basically a couple of nobodies from the middle of nowhere, and most of Jesus’ disciples were nobodies, common fishermen and tradesman who God just picked to prove He can use anybody. How it enraged the religious leaders when after Jesus’ resurrection these same nobody country hic disciples were lifting lame men to their feet and cleaning their clocks in arguments just like Jesus did. I too was once a poor carpenter and I took great comfort that my Lord once lived a simple life and could relate to the problems and troubles I go through. It also gives me hope that God can also use me just like he used these other nobodies that simply made themselves available to Him. Many Westerners have a bit of trouble understanding what betrothal in the sense of what the Bible means between Mary and Joseph, so I consulted a dear Arab friend whose culture at the time of her wedding still practiced betrothal in the area of Bethlehem. The marriage is arranged by the parents, with varying degrees of input from the kids (quite a bit nowadays). The bride is usually between 16-18 years old (Mary could have been younger) and the groom a bit older, maybe in his early to mid 20s. This is because he is expected to already have completed his education and be established in a career with a dowry saved up, and a household in place in order to support a wife who will raise the children. 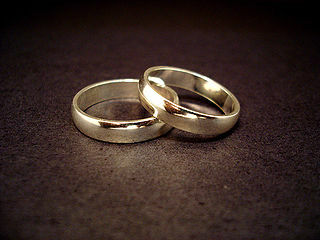 The dowry is alimony in advance in case the husband divorces the wife, and is considered the complete settlement. It is substantial, equivalent to $10,000-$15,000, and is the sole possession of the wife who usually invests it long term so she would not be destitute should she be divorced. Upon the proposal and acceptance the parents and the couple will meet to discuss the terms and conditions of the marriage; this is written up in a contract which is then signed by the couple at the courthouse. Upon signature (and payment of the dowry) the couple is considered legally married, and cannot separate without divorcing. Any infidelity at this point is also considered adultery. However, the actual marriage ceremony may still be a ways off, from a couple weeks to a year, depending on the logistics involved; wedding arrangements, relatives out of the country, etc. can delay this and in Jesus’ time a year was pretty typical. However, until this ceremony, the marriage is usually not consummated; sometimes passions get away and things happen, but this is considered bad form and rude, but not fornication. During the time between the contract and the wedding the couple spends a lot of time together, without chaperones as they are considered married. Thus we see the predicament when Mary became pregnant during her betrothal period to Joseph. She had spent three months off visiting her older cousin who was well past the age of child-bearing, but miraculously was with child (by the conventional manner with her elderly husband) and bore the baby who would become John the Baptist. When Mary returned to Nazareth she was obviously pregnant, and Joseph had to consider what to do. By rights he could have her stoned for adultery, but she was obviously a sweet girl and obviously he was in love with her, and considered quietly divorcing her. This had complications, such as would she keep the dowry? If so it would be a long time until he could afford another wife. Thankfully the angel Gabriel appeared to him in a dream giving the theme message of Christmas, “fear not”. He said, “Joseph, son of David, fear not to take Mary to you as your wife, for that which is conceived in her is of the Holy Spirt. And she will bring forth a son, and you shall call His name Yeshua [in English, Joshua, and in Greek, Jesus, which means “God is Salvation], for he will save His people from their sins”. There was probably not a happier young man in all of Nazareth when Joseph woke up, as a huge burden was lifted from his shoulders, and he could confidently fall head over heels in love with his young wife. And what a son they would have! I’m sure great apologies were in order from him to her for ever doubting her, and I’m sure she understood. Caesar Augustus was on top of the world. He had reined a long time, presiding over a relative peace, or Pax Romana. He had stabilized taxes and income into the Roman Empire. He had enlarged the empire dramatically, developed networks of all-weather Roman roads, and even had a month renamed after him (August). He used the title “divi filius”, son of god, in reference to himself being the adopted son of Julius Caesar, who had been declared a god by the Senate, to advance his agenda. 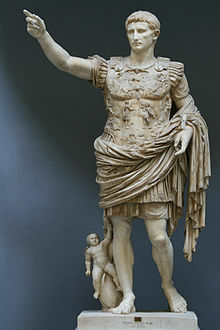 In 2 BCE Augustus celebrated his silver jubilee, which coincided with the 750th anniversary or Rome, and the Senate celebrated with bestowing on him the title, Pater Patriae or “Father of the Country”. In doing this, a worldwide census was taken in 3 BCE whereby every citizen of the Roman Empire swore allegiance to Caesar, and a notice stating this was presented to Caesar Augustus in February of 2 BCE. Most citizens were just required to just report to a local administrative center, but King Herod the Great added that Jews who were descendants of King David must also fulfill a special requirement of returning to their ancestral home in Judea, specifically Bethlehem, the City of David. He did this to keep a close eye on anyone who might have a claim on his throne, even if that claim was not likely to be pursued. 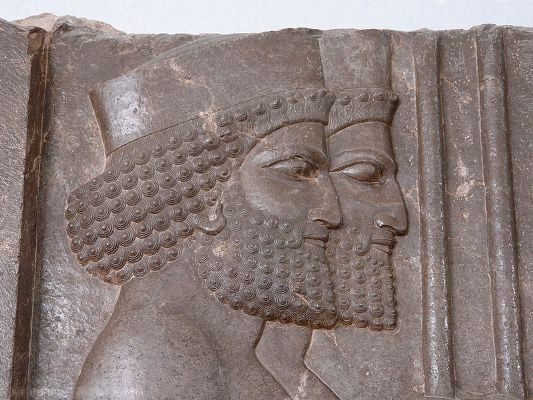 Herod was an Idumean, a descendant of Esau (brother of Jewish patriarch Jacob). This race used to reside in Moab, present day Jordan, but relocated to the southern part of Israelcalled Idumea. To reward his loyalty toRome, the Roman Senate had bestowed on Herod the title “King of the Jews”. It was thus that this mighty Roman Caesar and paranoid tyrant king set in motion events that would compel a poor carpenter in Nazareth to load up his betrothed pregnant wife and travel 80 miles down the Jordan River valley. Both Joseph and Mary were descendants of King David, and thus had to go to Bethlehem, where their reception would be cold (more on this later). They were just victims of circumstance, forced to comply with actions they could ill afford at this time. I’ve been reading Pauliena LaFuse’s epic tome “The Saga of the San Bernardinos” and have made it all the way up to 1912, where she chronicles the excitement in Beaumont af the approaching Edison power line (the first thing communities would do with the power is make ice to ship their fruit). They had an autumn Apple and Chrysanthemum Show where growers Silvered, Warren, Baker, Dr. West, Seats, McNeven, E.D. 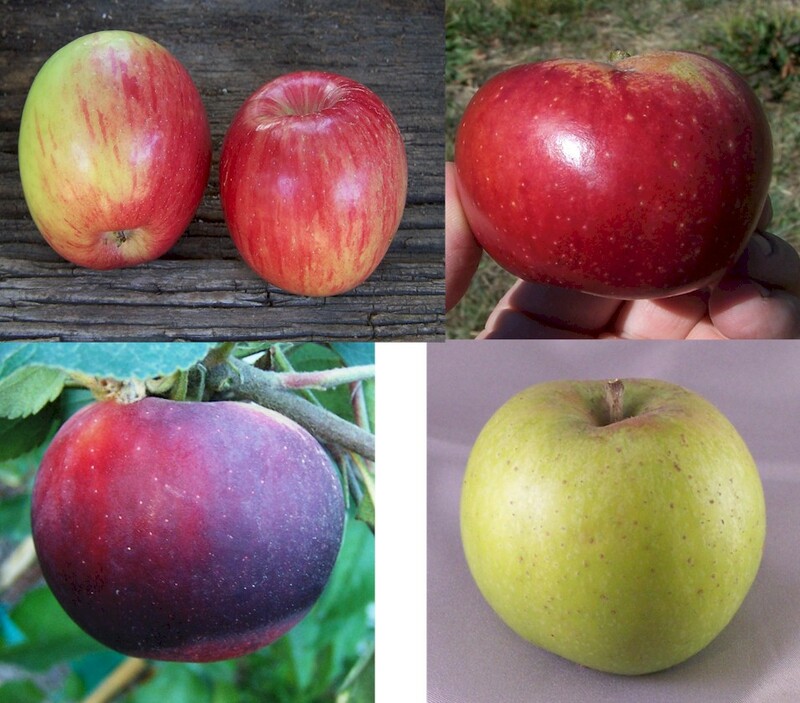 Reynolds and Highland Home showed off (clockwise from the upper left) Rome Beauty, Winesap, White Winter Pearmain, and King David apples. A wise choice if you ask me, as they are all outstanding in that climate, each with their individual character and use. King David is the best down in our heat, and the best out of the four, but when well-grown the other three are worth the drive to get and bring back a bit of yesteryear when an apple’s taste was paramount over its appearance.